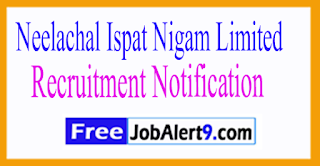 Neelachal Ispat Nigam Limited (NINL) Issued a Advertisement For Recruiting 03 General Manager, Head.All Eligible &Willing candidates Can Check Detailed Advertisement From Their Official Website And Apply Offline / Before 07-08-2017.Eligible And Interested Candidates Can Check Detailed Information For Each Postion Such As - Eligibility Criteria, Qualifications, Age Limit, Selection Procedure Before Applying. 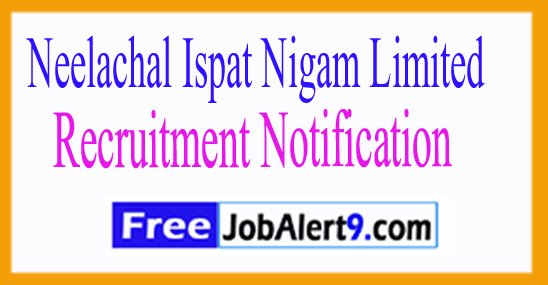 Neelachal Ispat Nigam Limited (NINL) Recruitment 2017. Salary And Grade Pay Scale:INR Rs. 51,300-3%-73,000/-. Candidates Must Pass Graduate Degree, ACA/AICWA, Post Graduate Degree /Diploma or its equivalent qualification from A recognized Board / University. Candidates Can Download application Form through official website (http://www.mmtclimited.com). After Filling The application form, candidate must send hard by copies of application along with relevant testimonials Mentioned In Detailed Advertisement to the following Address before /( 07-08-2017) . Chief General Manager (P), MMTC Limited, Core-1, SCOPE Complex, 7 Institutional Area, Lodhi Road, New Delhi- 110 003. Important Dates: Last Date for Receiving of Offline Application Form Is: 07-08-2017 .